Olympus Dam releases June 2011. The Bureau of Reclamation is forecasting a notable increase in releases from Olympus Dam to the Big Thompson River beginning on September 20, 2018. As of today, September 18, releases from Olympus Dam into the Big Thompson River are at 26 cubic feet per second (cfs). 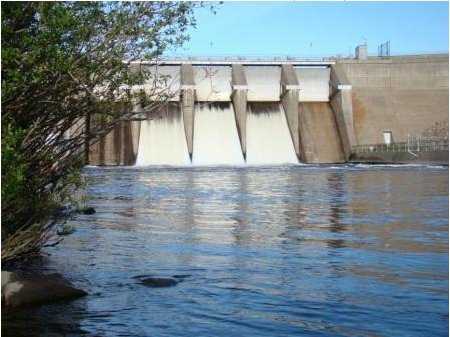 Between September 20th and October 12, releases are expected to rise to approximately 225 cfs. This forecast assumes native inflows into Lake Estes as well as irrigation demands will not change significantly from our current projections, but both are subject to unexpected fluctuations.